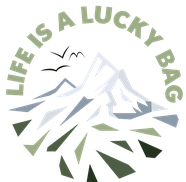 2018 a year of new experiences - January - Life is a lucky bag! I started 2018 with a few New Years Resolutions. 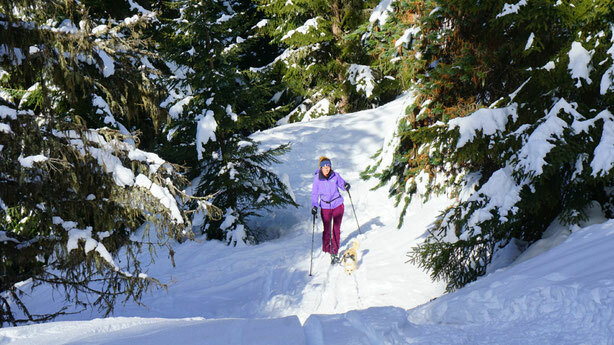 One of them was: I wanted to try at least one other outdoor sports - and what can I say? The reason why I didn't take any pictures was: I just had so much to do with not falling off the wall :D ! To try rock climbing for the first time, I took a class with a teacher in a climbing hall close to my place. It was a great experience but I need to tell you: IT IS SO HARD! I always thought I was a fit girl, but I realized, I have a good endurance but my muscles are not very strong. I really need to work on my muscles in my back, my arms and especially my fingers if I wanna try to do this more often! I will keep you posted and next time take more photos! Besides rock climbing I also tried another new sports, although it's Ioma doing more sports. We started doing Agility! Ioma is a very energetic dog who loves to run, jump and climb. Since she is also a very sensitive character she doesn't feel comfortbale when we go to dog school. 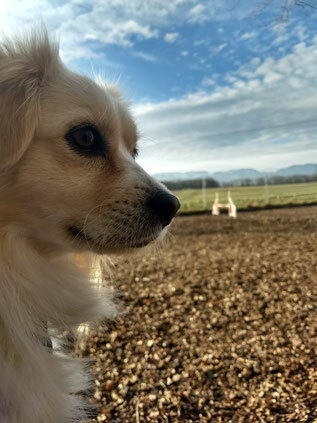 The school itself is awesome and the trainer is very professional and caring, but Ioma doesn't make a single move when we're in the dog park. She just sits down and lets the hour go by. That's why a couple of weeks ago we decided to try agility for the first time. And guess what: Ioma LOVES it! She was 100% concentrated and she got the new commands directly. I really think it's a good sports for my little girl, because it trains her attention, her endurance and her flexibility. I am also convinced she will gain more self-confidence during our class, so we will keep on doing it! I am thinking about taking some videos for you next time and show them to you! How about the other resolutions? I am trying to hike 800km this year. So far I did 6 hikes with a total of 68,11km. Additonally, I am trying to run 500km. If it comes to those, I was veeeery lazy in January and only ran 12,61km so far. So there's still a long way to go for me... But I am still convinced I can do it and I have already signed up for a run in spring! I am already very confident about the first month of 2018 and I am very curious what February will bring! !